Pure Farming 2018, a new agricultural simulator headed to Windows PC, the PlayStation 4, and Xbox One. Developed by Ice Flames and slated for release in early 2018, the newly-named first installment in the Pure Farming franchise aims to bring the genre to greener pastures with a variety of fresh features, official brand, global settings, unique crops, and much more. 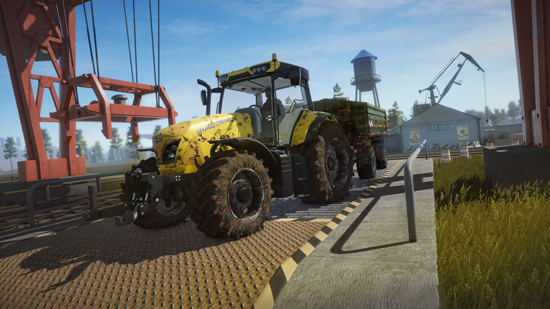 Featuring realistic models of licensed and crop-specialized machines from brands such as McCormick, Zetor, Landini and Mitsubishi, diverse regions within North America, Italy, Japan and Colombia, and unique crops including olives, rice and industrial hemp, the harvest is going global, and Pure Farming 2018 bets the farm on delivering the widest range of activities ever seen by the farming simulation genre.